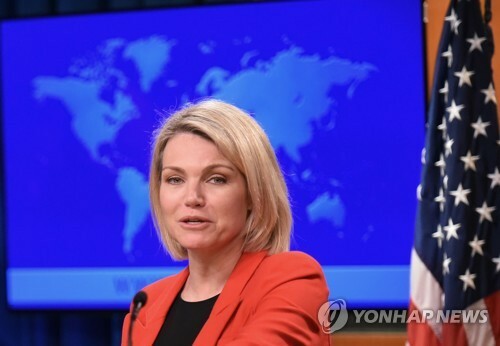 The U.S. State Department says that the United States maintains regular contact with North Korea following the June summit between the countries’ two leaders. State Department spokeswoman Heather Nauert told a regular briefing on Thursday that the two sides continue to have conversations “virtually every day" or every other day. She said that conversations with the North take different forms, adding they can be by phone, message or email. Earlier this week, it was revealed that U.S. President Donald Trump had offered to send Secretary of State Mike Pompeo to Pyongyang again. However, Nauert said that she has no travel announcements to make at the moment.